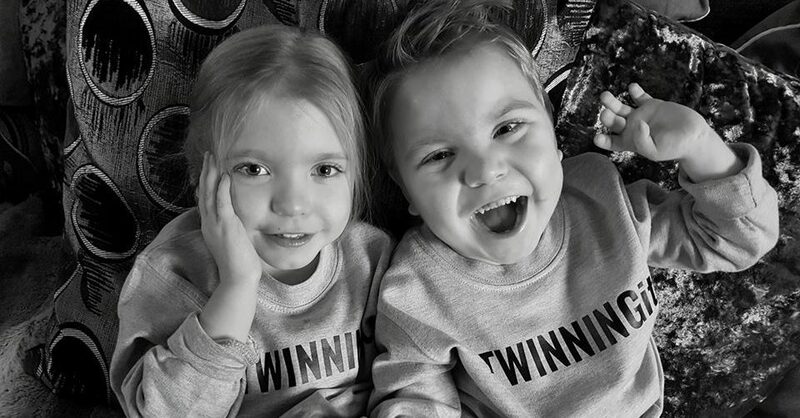 The 27th July is the twins 5th birthday and every year during the run up to it, I always get a sense of nostalgic dread and panic as thoughts always seem to wander back there. Not to be confused with dread of their actual birthday but with the events that led us through those doors, into the world of machines and funny little plastic boxes. To all those dark days that followed and the journey that led us down the path we are on today. The world of The Special Care Baby Unit. 1. We lived each moment, minute to minute, hour to hour, shift change to shift change rather than by days. Once I asked a doctor who just came back on shift after looking after the twins the day before how he thought Owen was doing after a particularly bad 24 hours “He is still here, I wasn’t sure what I would come back to, but he is a fighter” We never looked to far ahead as the doctors made no promises, all we had was HOPE. 2. The overwhelming disappointment that nobody wanted to celebrate the birth of our beautiful twins because they were too worried about the outcome. We wanted cards and presents, we wanted to celebrate that they had made it this far, they were here. I know at the time their life was in the balance. But what if the worse did happen, we would have nothing to show they were here, no record, no memories. It would be like they never existed. A few people did give us gifts and they were strongly appreciated. We still have them in their memory box, together with their first hats, first cpap pieces, dummies and blankets that were actually the size handkerchiefs. We did what we needed to do to survive, often against advice from well meaningful staff, family members and even the advice leaflets you get. Every body has a different way of coping and I respect that, this is just how we ‘managed’ even with many people telling us to go home, to rest, we couldn’t, we wouldn’t. We were (very) lucky to only live 15 minutes walk away (5 minute run if need be) so only went home if we really needed to. We made sure we were there for every doctors rounds. We did as much ‘Cares’ and had as much ‘Skin to Skin’ time as were allowed. It was tough especially having two other children, but we knew they would understand that this is where we needed to be at that present time, Each time we were away from the unit, our hearts and heads were still left behind. I also wrote a diary of sorts. I wish I wrote more in it, some weeks are just a scribbled timeline of events. I still have it tucked away, I can not read it without crying. I don’t tend to read the timelines around this time of year, as some dates are just too hard to be reminded of. 4. I don’t think many people realised how poorly I became straight after having the Twins. I was just being wheeled round to recovery after my emergency c-section, the Twins had just been wheeled out to SCBU. All of the suddenly I couldn’t breath, The next thing i remember is waking up with an oxygen mask on my face, in a high dependency unit. The days after I had to undertake heart scans, CAT scans, blood test after blood test, a few days later I was well enough to return to the postnatal ward, torture when you are sat there alone surrounded by crying babies (Yes the jealously of just being able to hold your own babies hit me hard) I escaped from my bed as much as I could, mainly against nurses orders to be upstairs with my babies. It was a mystery why I had been so poorly and no one was no longer monitoring me so I discharged myself. Relief spread that I could spend as much time as I wanted upstairs in SCBU. But going home from hospital the first time without my babies was overwhelmingly hard. I would love to say it got better, but that walk down the corridor home never got any easier. onto an Oxygen tube, we celebrated by going to the hospital cafe and buying a Boost bar and a Latte. This must have somehow always been at the same time of day as on the tv the game show Pointless was always on, Silent but with subtitles. We could measure how ‘well’ the day was going from how far we went from the unit. Dark Day = We took turns to go to the parent room at the top of the corridor. Bad day = If we really needed a break from all the sounds and the overwhelming stress of it all, we would go for a walk around the car park and find a bench, Good day = Going to the cafe (see above) on a rare relaxed day = We may venture home, or to the local park which was nearby, but this always made us anxious after a while and we would rush back. 6. The ‘Breast’ Pumping room can be either the most social of rooms, all mums together sharing a unique and raw experience, But it also can be the most lonely and isolating. I remember turning my chair around to face the window just so the other mums didnt see me cry, as they talked about how they were soon getting discharged, As I knew I had months of that room ahead of me and no end date in sight. The angst when a mum is complaining they are producing too much milk, that they have no room in either the hospital freezer or the home freezer, while you milk supply is diminishing at a rate that the feeding nurse sends you off to the doctors for an emergency prescription of domperidone to try to get the supply up again, all while the doctors have meetings about what is the plan of action if your breast milk runs out. I felt like such a failure when it finally did just stop. Jointly setting your alarm at home to wake up every 2-3 hours just so you can breast pump is equally as depressing. 7. Sometimes the most traumatic of experiences that you see in SCBU are not limited to your own babies. My ‘next door incubator neighbour’ panicking as her baby struggled to breath during a feed and me running into the corridor screaming for help is still haunting. When we were transferred to another Hospital for Owens Hernia Operation and being stuck post op in a large room with around 10 other very sick babies, when all of a sudden a rush of doctors came in and had to perform emergency procedure on another baby, while I took over feeding Owen because the nurse asked me to stay so she could help with the emergency was truly harrowingly. I have never felt more invasive. 8. Cares – which basically means careful washing, nappy changing, temperature checks, mouth cares etc. Doing cares were exactly like you were ta king part in a game of the ‘Crystal Maze’ you put your hands in a plastic box, through two small holes carefully passing things from left to right. At times half expecting someone to shout “Just grab the crystal, grab the crystal! !” While constantly looking at the monitors waiting to set them off and panicking if you do that you are hurting your own baby. Pulling the tab of a nappy too loudly could startle your tiny one, setting all the alarms off again. Owen had a real trouble with cares at the beginning he associated touch with pain and procedures. eventually he grew in confidence that we were not going to hurt him and we grew in confidence that we could care for our fragile little twins. beep of the machines, the staring through the glass desperately trying to see past all the wires to see your baby bird like child can simply not vanish, but simply be buried the deep mixed emotions that you felt, such as guilt, sadness or anger can often resurface when you least expect it. I really hope if anyone else feels the same they receive support and at least do not feel alone in this. Oh I remember it all so well…… brings it all back.